Elizabeth Moser is a former Education Research Associate of the Mackinac Center for Public Policy, an independent, nonprofit research and educational institute located in Midland, Michigan. Moser also served as the Managing Editor of Michigan Education Report, a quarterly journal focused on K-12 education issues in the state of Michigan, and Managing Editor of Michigan Education Digest, a weekly email education news update. 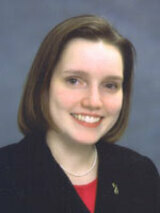 In addition, Moser served as the director for the 2002 Mackinac Center for Public Policy Debate Workshops. A former Mackinac Center intern, Moser previously served as an Executive Assistant and Program Coordinator for two non-profit organizations, planning conferences for high school students and producing voter information. Moser is an honors graduate of James Madison College at Michigan State University, with a degree in Political Theory and Constitutional Democracy.